Definition Farmhouse Chic is a welcoming, cozy-yet-rustic style that is the combination of Traditional Farmhouse style and Shabby Chic. It features plenty of traditional farmhouse elements such as vintage decorations, old plank floors, and apron-front sinks while also incorporating Shabby Chic elements such as overstuffed sofas, chippy painted wood furniture, and delicate fabrics. History Farmhouse Chic has been slowly gaining in popularity over the last decade. 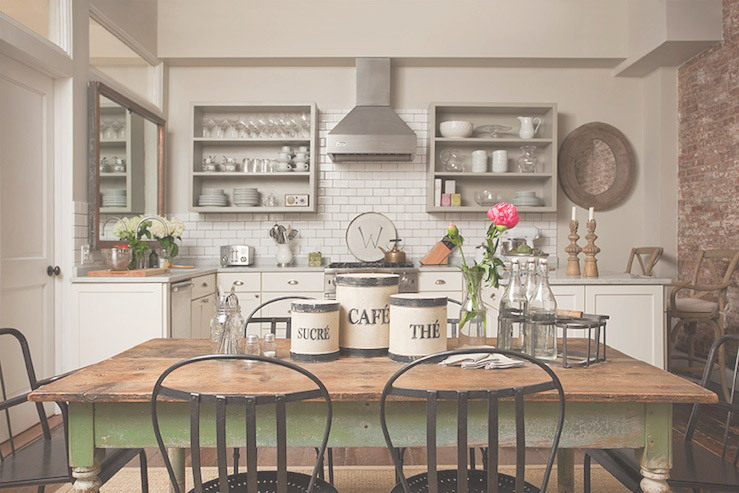 Early in the 2000s, people began combining Farmhouse elements with Shabby Chic and Farmhouse Chic style was born. With the help of the show Fixer Upper, this style has exploded in popularity in the last five years, with decorating enthusiasts scrambling to incorporate shiplap and magnolia wreaths into their homes. 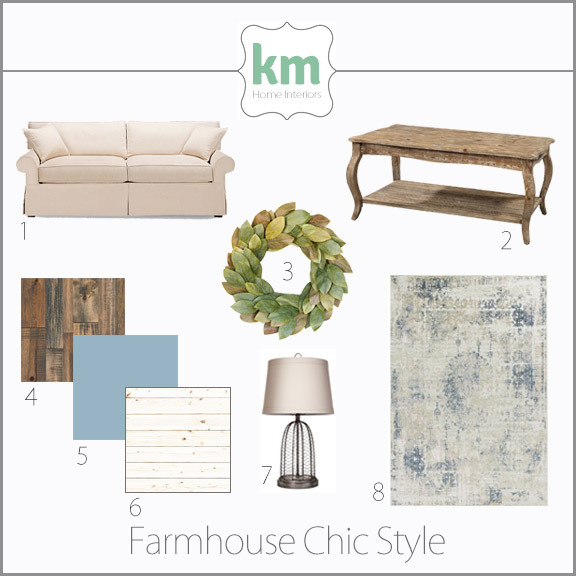 Spot the Style Farmhouse Chic is easily identified. It’s a combination of the rough and rugged farm life made cozier with shabby chic touches. Look for reclaimed wood floors, shiplap on the walls, apron-front sinks, overstuffed slipcovered seating, delicate fabrics like lace combined with rugged fabrics like burlap, and white painted wood furniture with just the right amount of chippiness. Common colorways in a Farmhouse Chic home are bright whites, beige, and muted tones like bluish gray. One of the most welcoming styles in design right now, a Farmhouse Chic home feels cozy, warm, and “lived in”. Notables I’m sure by now you have all heard of the queen of Farmhouse Chic, Joanna Gaines. Joanna and her husband Chip have put this style on the map with their TV show Fixer Upper. But a simple search through Instagram will introduce you to plenty of great decorators who have embraced the style and really made it their own. I’ve mentioned Maggie of 505 Sunday Drive before, but I also love Cindy’s style over at A Cottage Girl. And last but not least, there is Meeghan of Cali Girl in a Southern World. Each of these ladies has made her own mark on the Farmhouse Chic style and they are great sources of endless inspiration.